The Trade Union Congress of Nigeria (TUC) on Monday criticised the proposed life pension for members of the National Assembly (NASS) and advised them not to ask for more since they earn well. 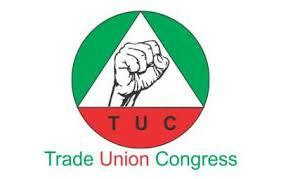 TUC in a statement by its President, Bobboi Kaigama and acting Secretary-General, Simeso Amachree, in Lagos said that it was regrettable that such proposal was being made when the economy was not well-off. “We want the politicians to be abreast of the groaning of the masses. Law makers are proposing life pension at a time when there is massive job loss and poverty. “We are worried that members of the National Assembly are not perturbed by the prevailing realities in the economy. Are they bent on frustrating the effort of the president at revamping the economy,’’ the statement queried. It said that the benefit of the office of the Senate President and other principal officers was too juicy to demand for more. The statement said it was regrettable that some senators would not initiate a bill for the four-year term while earning higher than some foreign presidents. The congress in the statement said that the two-day retreat on Constitution Review organised by the Senate Ad-hoc Committee would have been used to address some grey areas in the constitution.